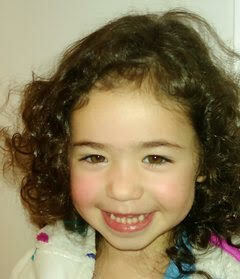 The Models Direct team will be looking for babies who are smiley, responsive and have a happy persona. Ideally they will have clear skin, bright eyes and be calm around new people and new situations, this all helps in clients selecting your child for modelling work. 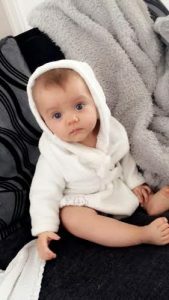 If you are a parent and are interested in getting your baby into modelling, please visit the Models Direct website for more information and have a look at the reviews from parents who have experienced taking their baby to an assignment , for more info click here. There is also lots of information about keeping your child’s photographs up to date and the importance of that. At a young age babies and children change so quickly and an agency needs to be representing your child with their up to date look. “Ellison is only 8 months old so couldn’t say in his own words but I could tell he had a really good day, the actors and Director were really nice with him and got through all scenes needed. This was a first for Ellison and myself and the whole day was enjoyable and seeing him being a good boy while filming made me smile. Ellison had to be a teething toddler in an internal training Video for Tesco that gave examples of how to and how not to deal with customer service in a pharmacy setting. This assignment, has given me confidence that Ellison interacts extremely well with other Actors/Models and is still happy no matter what the situation.It was a fun day out and gave me a sense of pride and also a nice little bit of money for his savings account for when hes older. We don’t live in or around London so opportunities in acting/modeling there never even come up in this area. Joining an Agency like Models Direct gives us the opportunity to be put forward for exciting opportunities. Models Direct works on your behalf and do the job hunting for you. We have been registered with Models Direct for only a few weeks and he has already had his first job. 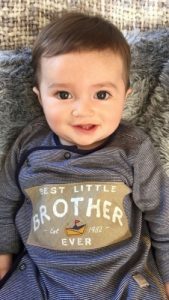 This entry was posted in Baby Modelling, Child modelling, modelling, modellingagency, Models, Models Direct and tagged agency, Baby modelling, commercials, model feedback, Models Direct by The Models Direct Admin. Bookmark the permalink.